Why is the "Term" important? As the saying goes, "The lowest rate will save you hundreds, but the wrong term can cost you thousands." Put another way, your mortgage term can have a far greater impact on interest cost than the up-front interest rate. That’s because your term determines the length of time you're locked into a rate. That, in turn, affects how long you'll overpay or underpay, relative to the other available options. Almost anyone can find a low rate by browsing the Internet. Picking the right term isn't so easy. Take some time, get good advice, and nail the right term the first time. Below you'll find bite-sized term reviews to give you a running start. •1-year Fixed: If rates rise as economists expect (see: mortgage rate forecast), then a deeply discounted 1-year fixed is mathematically a good alternative to a variable. At the end of the term, you can move into another 1-year or consider a variable rate—possibly at a better discount than today. •2-year Fixed: Rates on two-year terms are now low enough to make them slightly more attractive than variable and 1-year fixed rates. That's assuming prime rate increases 1.75% in the next two years. If your rate expectations are lower than that, then a 1-year fixed performs better "on paper." •3-year Fixed: This is unquestionably the sweet spot thanks to 3-year rates under 3%. The three-year beats all other terms in our internal rate simulations. If we were forced to pick one strategy for the next five years, a three-year fixed followed by two one-year terms would be it. As always, the trade-off with a 3-year term is more risk in years 4 and 5. •5-year Fixed: This is the most popular term in Canada, and government restrictions on variable-rate qualification have made it more so. Fortunately, 5-year fixed rates have never been lower—literally. At under 3.50%, the conservative 5-year term has become attractive even to long-time variable-rate devotees. •7-year Fixed: The spread between 5- and 7-year terms is over 120 basis points, which makes seven year terms mathematically pointless. If you’re that concerned about risk, take a 10-year term for 30 basis points more, and get three more years of rate protection. •10-year Fixed: The decade mortgage is now available just under 5%. Some consider that a pittance for 10 years of knowing your payments. What’s more, 10-year terms let you out after 5 years without paying a dreaded IRD penalty. History has shown, however, that 9 out of 10 times, 10-year fixed terms cost more than consecutive 5-year fixed terms. For a 10-year to prevail, 5-year fixed rates would have to soar over 3.75 percentage points by the time one's 5-year term matured. Reputable analysts are calling on long-term rates to rise just 2.25 percentage points in the next 60 months. Nonetheless, every major economist expects prime rate to continue climbing next year. If prime rate ascends 150 basis points in the next two years, our amortization simulations give the edge to 5-year fixed rates. Are variables worth the gamble? Not for our money. 1, 2, 3 and 5-year Fixed rates are just too good to pass up. However, ask this question in two years and our answer could be very different. •﻿﻿﻿﻿﻿3-year Variable: 3-year terms let you renegotiate sooner—which is good if you might need to break your mortgage in 3 years, or if you think variable discounts will improve in 36 months. In the 3-year market, you can find slightly better variable rates on no-frills mortgages. •1-year Variable: With 1-year fixed rates below 1-year variable rates, don't bother with 1-year variables. •5-year Capped Variable: No benefit. Ignore. •5-year Open Variable: Open mortgages are temporary solutions, and you'll pay a premium for their flexibility. Remember, closed variables are portable, and they only have a 3-month interest penalty. Even if you break a closed variable in 180 days and pay the penalty, it's still cheaper than taking an open...at today's rates anyhow. •5-year Cash Back Down Payment: Most people considering these mortgages are pretty desperate to buy, so banks stick them with posted 5-year fixed rates. Here's a novel thought: If you can’t put down 5%, rent and build up a down payment. ◦Be without online account access (if that's important to you). Giving up all this will save you roughly $26 a month on a $250,000 mortgage. •Open HELOC: HELOCs are priced at least 125 basis points above closed variable mortgages. So don't put money into a HELOC unless you plan to pay it off quickly, need interest-only payments, or want to utilize interest offsetting. If you're planning to borrow a large amount and pay off less than 25% of your mortgage each year, save money and take a readvanceable closed variable or 1-year fixed instead. If you do choose a HELOC, avoid the uncompetitive lenders who are still at prime + 1.00%. •Hybrids: A hybrid mortgage is part fixed and part variable (and/or part long term and part short term). Hybrids give you rate diversification, which makes some degree of sense since no one knows how high rates will be in five years. It's best to choose hybrids that contain the same terms (e.g. a 5-year variable and a 5-year fixed). If you instead get part short-term and part long-term, the lender may be less motivated to give you a great rate when the short-term portion matures (because the lender knows you're locked in with them on the longer-term portion). If you're considering a hyrbid, also look at a medium term like a 3-year fixed. The Disclaimer: There are a million and one exceptions to everything above and market conditions change almost daily. Therefore, be wise and get a mortgage professional to compare all the options based on current rates and your personal circumstances. Above all, remember that these opinions are just that. They are not recommendations or advice. 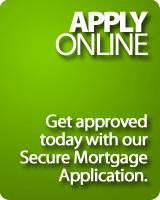 Qualifying is always contingent upon approved credit. All information is based on present market conditions, current economist forecasts (we do not predict rates ourselves), and today's rates and expectations—each of which may change drastically without notice. These opinions are intended for mortgages on owner-occupied properties only.